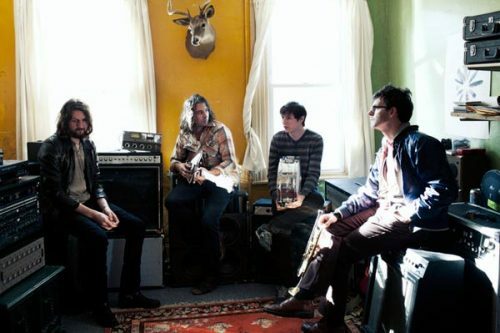 Philedelphia band, The War on Drugs, formed in 2005 by Adam Granduciel and Kurt Vile. While Vile left the group in 2008 shortly after the release of his debut LP, The War on Drugs runs in a similar vein as the "Constant Hitmaker." Earlier this year, The War on Drugs released their third, and very highly anticipated LP, Lost in the Dream, featuring captivating hooks amid atmospheric guitar and waves of synth. An in-depth interview Granduciel did with Grantland ealier this year tells the tale you’re looking to hear. To put it quickly, Lost in the Dream is the product of a year of anxiety, depression, sleep deprivation, illness, and trauma. Granduciel started writing the album after breaking up with his girlfriend, and the record became an obsession. The sense of isolation and pain are clear throughout the record, but only in the best way those feelings can be evoked. Lost in the Dream is what some – who don’t mind clichés – might call “a beautiful mess.” In the movie that is your life, Lost in the Dream is what plays during the montage of finding yourself, after completely falling apart. The War On Drugs first became known nationally for their excellent live shows while touring with The National. After crisscrossing the US countless times, Granduciel is the most experienced frontman you could ask for. Don’t miss him in the Mainroom – it’s gonna be the show that defines your Summer 2014.